Here are two series mysteries in dramatically different settings, Cuba and the Colorado Rockies. 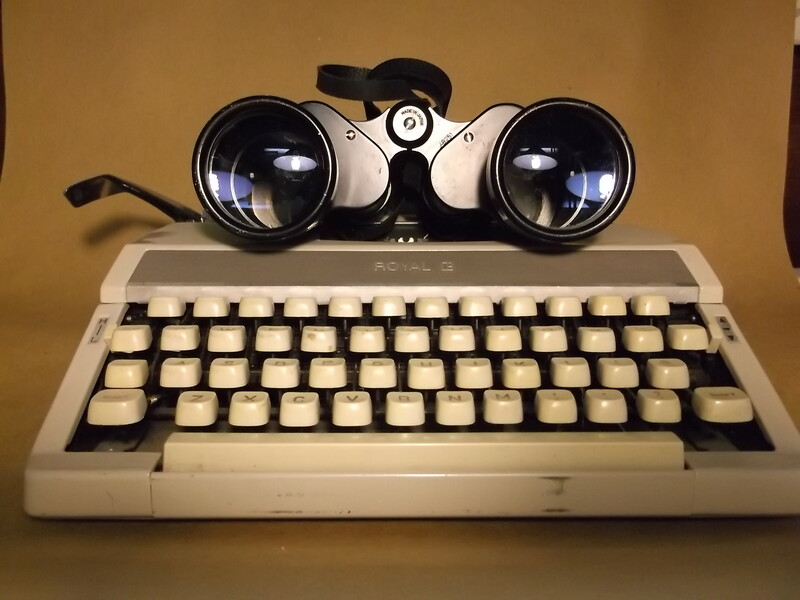 Each features a protagonist who faces circumstances beyond his control, where the odds against him appear too great to overcome, and where the endings guarantee a surprise. A mystery series featuring Lieutenant Enrique Cienfuegos (nicknamed “Quique”). Background: Enrique Cienfuegos is the grandson of a revolutionary hero who died fighting beside Fidel Castro. Enrique eventually lost faith in the Revolution after seeing first-hand its corruption and bureaucratic failures. After graduating from law school, he chose to become a policeman and moved to Puerto Morales, and out-of-the-way beach resort catering to foreigners who want to escape the relentless techno beat of the Havana nightclubs. Enrique’s career choice angered his estranged father, Victor Cienfuegos, the Cuban Minister of the Interior. Now, Enrique’s unwanted status as Victor’s son offers him tenuous protection when he confronts the government’s failings. He may never know when he has crossed the line or how long his father’s incidental protection will last, but Enrique works within (and sometimes outside) the law enforcement system to provide what little justice he can, knowing that, in Cuba, justice is anything but blind. In Dead on Cuban Time, Enrique struggles to solve the grisly murder of his brother-in-law, Luis Gallegos, a chemistry grad student who quit school to work at a secret government lab shortly before he was killed. For security reasons, Luis never told his wife Emily (Enrique’s sister) where he worked. An autopsy reveals that Luis died because many of his internal organs had begun to dissolve. Enrique questions how this could happen after midnight on a beach reserved for foreigners. Luis’s body is found next to his sea-kayak, after midnight, on a beach usually reserved for foreigners. The Cuban secret police suspect he was killed trying to defect. Even a suspicion that someone is a defector can cast a shadow over that person’s entire family. If Luis wasn’t trying to defect, Enrique’s superiors think he could have been cheating on his wife, Emily Gallegos (Enrique’s sister). The local police are reluctant to investigate the daughter of the Cuban Minister of the Interior, even if she is the prime and only available suspect, and police procedures don’t allow Enrique to investigate a family member. This doesn’t stop Enrique from asking questions, but his investigation is going nowhere. Then a small gray terrier found next to Luis’s body leads Enrique back to the beach, where he uncovers Luis’s small backpack. In it are a computer flash drive, the dead man’s passport, and a photocopied article on genetic changes that cause crop worms to live three and four times their natural life-span. The article is authored by a beautiful American biologist who happens to be a visiting professor at the University of Havana. Enrique is ready to question her or ask for her help, but not to fall in love. Dead on Cuban Time will be available on Amazon.com. Character Backstory: Scott Nelson DeLand had the misfortune of trying to cash a check in a downtown Denver bank at the same time an amateur was trying to rob it. When the police surrounded the bank, Scott became an inadvertent hostage in the middle of a potentially deadly standoff. He realized the young bank robber was making a terrible mistake and, as a lawyer, Scott offered to defend the kid if he’d give himself before anyone got hurt. Scott arranged to walk out of the bank with his new client when he surrendered to police. Unfortunately the police were already suspicious of Scott’s motives, since surveillance tapes show Scott holding the door open for the kid when they both entered the bank. At the moment of surrender, when tensions were running their highest, Scott stumbled on the bank steps and lunged forward. The cops thought he was making a break for it and opened fire. Scott was okay, but the young, would-be bank robber was killed. Scott blames himself for the tragedy and gave up law practice, at least until his psyche is healed. Returning to his home town of RockyRidge, high in the Colorado mountains, Scott became a real estate broker. Even here he is conflicted, since he knows his livelihood furthers the relentless development of the small community he loves. Inexorably, the ski area corporation and other business interests are turning the historic mining town into destination tourist resort, complete with multi-million dollar vacation mansions Scott tries to sell, but which he couldn’t afford to buy himself. Scott DeLand is chosen to broker the Bristlecone Ranch, a multi-million dollar development for the RockyRidge Associates ski company. Scott isn’t fond of the ski company, but he could make enough money on their development to retire. He could, that is, if he isn’t arrested for murdering the man who hired him. The residents of RockyRidge are badly shaken when Jon Erikson’s body comes down a chairlift in a blinding snow storm with a ski pole through his chest. Someone murdered the ski company vice president after a meeting at the new summit house, on top of the mountain. A meeting Scott attended. Scott is one of the suspects, since no one can vouch for his whereabouts at the time of the murder, and a pair of his ski poles is missing. That and the fact that the police have never given up their suspicions that Scott got away with an attempted bank robbery in Denver. Scott’s only concession to his town’s tourism trade is participating in an annual snow sculpture contest, which is part of a winter festival Scott helped create. As contest day approaches, he plans his sculpture, shows clients around town, and spends every other waking moment obsessing over the facts and circumstances of Jon Erikson’s murder. Everything started when the ski company asked the Forest Service to expand the ski area. The expansion would open up private land next door and make it very pricey, especially after the ski company built a collection of multi-million dollar homes in a development called Bristlecone Ranch. Erikson chose Scott to broker the development, which a lot of people oppose because it would fill in wetlands and destroy elk and lynx habitat. Most of the locals think environmental wackos killed Erikson, but Scott isn’t so sure. Erikson seemed above the controversy, and Scott finds a letter discarded by Janet Erikson, hinting that Jon had changed his mind about the project. Scott gets further distracted when Susan Fischer comes to town to hold public meetings on the project. Susan is the Forest Service biologist drafting the environmental impact statement (“EIS”) for the ski area expansion. Scott dated Susan two years earlier and fell in love, but Susan never had any intention committing to a serious relationship. Afterward they settled into an awkward friendship Scott that finds painful. Obsessed with Susan, questioned by the sheriff, and haunted by his missing ski poles, Scott tries to find the real killer. But who in his small town has a motive for murder? Given the isolated location of the murder, the list is fairly short. Janet Erikson, Jon’s wife, tells Scott her husband had been nervous and distracted shortly before his death. She suspects Jon was having an affair, or that his job was in jeopardy. Either way, Janet hates the ski company’s corporate culture, and she doesn’t seem to miss her husband much. Attorney Harper Sheridan and his young associate, Bud Nester, represent the ski company. Like Scott, they have a big stake in the development, so they could have had a motive for murder if they thought Erikson was changing his mind about the project. Nester considers Sheridan old fashioned. He favors more cut-throat business practices and sees himself on a quick partnership track, with or without Sheridan’s help. Sheridan himself is preoccupied by his college-aged daughter, Michelle, who is more interested in partying than attending classes. She’s hanging out with a notorious ski instructor, Skeeter Burton, a party animal never far away from drugs. Burton is angry at the company for raising ski lesson prices again, but not the instructors’ salaries. Burton was among the instructors who protested the company meeting when Erikson was killed. Sheridan hints that Burton isn’t Michelle’s first encounter with a “ski bum,” and that he’ll put a stop to it again, if necessary. Ben Alder is Sheridan’s principal client. An aging, bitter ski company founder, Alder is a long-time resident who collects medieval weapons and skiing memorabilia. In short, he dwells in the past. Alder says the company owes him one final project, Bristlecone Ranch, in return for building RockyRidge into the destination resort it is becoming. He makes it clear that he’ll ruin anyone who stands in his way. Alder, too, attended the fateful meeting where Erikson was killed, and, though he might be too old to drive a ski pole through a man’s chest, one of his medieval weapons could have. Not to mention that his chauffeur is a former “Mr. Atlas” body builder. Alder wasn’t happy when Erikson chose Scott for the Bristlecone Ranch, and, with the V.P. gone, Scott’s future as the development’s broker seems more and more tenuous. Scott walks a tightrope to keep his job as the broker while he tries to find out what each of these individuals was doing when Erikson was killed. Then a second body shows up, and it’s found in a very embarrassing and unfortunate location for Scott. Frozen Stiff will be available through Amazon.com. Welcome to the world of websites. 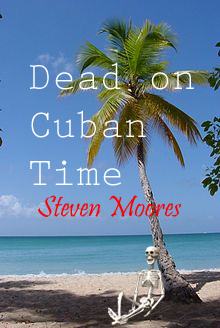 Fun cover for Dead on Cuban Time.